HTC, Oculus, PlayStation, Google and all other VR manufacturers should unite to ensure this fledgling industry is a success. That's the message from HTC this week, which says the focus for the industry must be to support studios and simplify the message for consumers to ensure there's a marketplace to compete over. 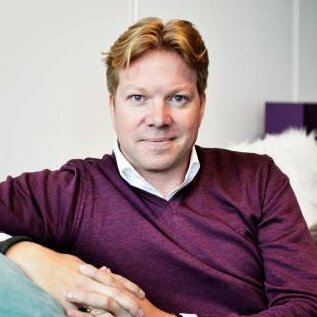 "We are in the early days, and all of the VR players need to work together to make sure virtual reality happens," says Rikard Steiber, president of Viveport and SVP of VR at HTV. "Rather than competing, we should make it easier for developers to create great content and monetise it. We need to help consumers navigate this field that might be initially confusing. But I do think, people with mobile phones are going to upgrade to some sort of virtual reality experience, I think it's natural if you have a games console that you'll upgrade to a more immersive experience, if you have a high-end PC then you'll want to do this. "VR will reach beyond gaming very soon. If you think about your journey and my journey through the revolutions of PC, through web and through mobile... it always started with gaming and the early adopters, but it wasn't necessarily games that made the web big, or the PC big, or mobile big. Today, even the gamers are spending much of their time on email on their smartphones or on social media. They're still playing games, of course, but it's not the only thing. We are in these early stages and I think it will change the world." 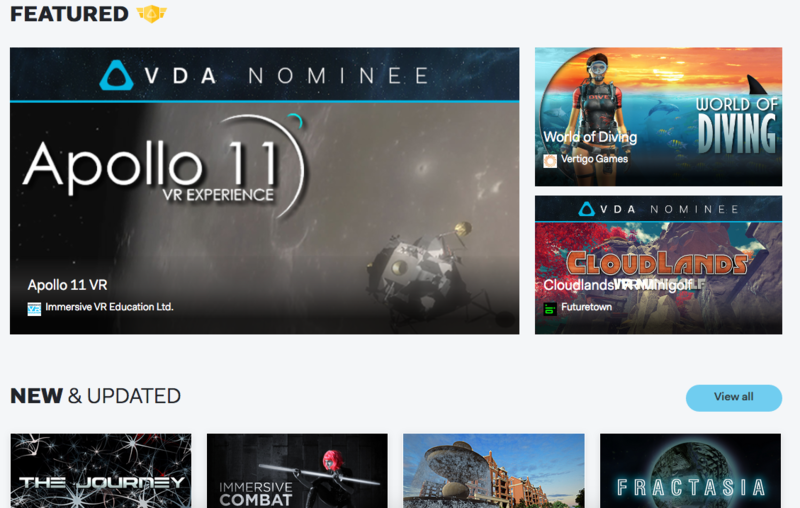 "Our vision for Viveport is for it to be the leading agnostic virtual reality store. We are not just for Vive, we are for all platforms and devices." Steiber is talking about non-gaming products because of his association with the Viveport programme, a new online store dedicated to selling the sort of content that might not work particularly well on Steam. Viveport started in China due to the fact Steam doesn't operate in that country, and it's now being rolled out globally. Yet despite the name, Viveport isn't just a home for Vive apps, and Steiber hopes to partner with the other major VR manufacturers. "Our vision for Viveport is for it to be the leading agnostic virtual reality store," Steiber says. "We are not just for Vive, we are for all platforms and devices. We launched in China where some of the US companies struggle having a presence. In China we cover all types of content and we have just launched our mobile VR offering, so we also have Android VR and Daydream applications in there. We also launched our Arcade programme [where people can go to a real-world destination to play VR]. We want to help developers get into China, and safely monetise their content across PC VR, home VR, mobile VR and public location-based VR. "Steam is a great partner of ours. They have a strong affinity with the gaming community and the developers, and we actually think games are sorted for VR. They're growing really fast and there's lots of great content already. However, we think virtual reality will go beyond games, and that there will be room for education, creativity, cinematic VR, for brands, for social and so on. We found that if you are a developer of, say, creative content like Tiltbrush [3D painting tool] - which is a very famous app - it can be hard to get top promotion in the current app stores, because they're for gamers and therefore gaming content is always on top. If you're on Steam, which has 800 VR apps, if you're not in the top 100, you're having some challenges. What we want to do to complement Steam, we want to help developers of social, education, creativity content to reach a global audience, and monetise. "The thing that makes it so important is that by focusing on these additional verticals, like creativity and education, we will be dragging new audiences to VR. So we'll get the teachers, we'll get the creators, we'll get the Hollywood fanatics, we'll get the brands, which will increase the growth of the ecosystem. So we are a complement rather than competition." Ryan Hoopingarner, Global Executive Director of Marketing at Vive, adds: "One of the things that we always point to is that the Ikea experience continues to track in the Top Ten for Vive owners, and that has nothing to do with games. So even if gaming is what brings people into VR, and helps them learn about it and decide whether they want to invest in it, once they have a headset the idea of being a VR owner supersedes being a gamer: people become interested in everything VR can offer, not just games. So we have our own store, our own marketplace, for that content that expressly lives outside of the gaming world." An extension of Viveport is the 'Viveport Arcade', a concept that launched in China to replicate the internet cafe phenomenon that exists there. A bit like the recent initiative from GAME, consumers will pay 60 RMB (that's about $9) for 15 minutes - 30 minutes of VR gameplay. Considering the decline of the arcade business in the West, this seems a concept best suited for Eastern markets, but Steiber disagrees. "There is a huge interest in the public space," he says. "What we have seen now - and it is admittedly starting in China - is that there are all these internet cafes and there are arcade machines in pretty much every cinema around the world. There are arcades in shopping malls and there is also huge interest in independent outlets that can do this very cost effectively. There are two things that makes this a very important initiative for us. One, we will democratise access to high-end VR. Before this initiative, most people would access VR through their mobile phone via 360 video. That is very nice, but that is not real VR. If we can get this out in the public, then our mums can access a high-end experience for a few bucks. That's very important for the growth of the ecosystem. The second thing, it's a great monetisation tool for developers, because now they can generate revenue for just half an hour of use. What we are doing with this initiative is help developers make money, because we can also protect the content with DRM, and also do the tracking to ensure they get paid. If we didn't do this initiative, most likely there will be a huge piracy market in China." 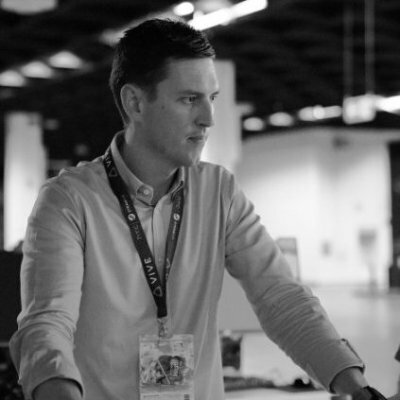 Outside of Viveport, HTC is also developing new hardware - although neither Steiber or Hoopingarner would comment on that - and it's also working proactively in the B2B space. "There's been significant interest there, especially in areas like the drafting and architectural community, and the fabrication community... anyone that is doing CAT modelling, such rapid prototyping is so much easier in VR than using plastic moulds or even 3D printing," Hoopingarner explains. "We were originally working with an architectural firm that has been using a version of Autodesk, which is a partner of ours. Autodesk has a stingray platform that is unique to them. We were speaking to a builder who had a story about how the first design that they did was a full model, a six-floor building, in VR. So they were walking through it true to scale, so they could see the 10ft ceilings, but you can also make yourself significantly larger by making the building smaller. So they were playing with the slider and made themselves 12ft tall and their head was poking through the ceiling, and when they did that, they realised that the girders, which would finish off the building, had not been set at the right spacing. It just wasn't being planned correctly. They discovered that the plans had been drawn wrong and that it should not have been that way. So they went back and re-did it. If it wasn't for VR, they wouldn't have discovered the mistake until they had built the first five floors. Those things happen all the time in architecture. You don't realise everything right away, and you sometimes don't realise it until you're on the fifth floor... VR saved them $1.2m by playing with the slider on the screen." Other new initiatives include working with both eSports and real-world sports to improve the viewing experience. "There are opportunities where you can transport yourself to the arena and have VIP seats or sit next to your team, complete with stats overviews... you can even teleport yourself into the game and besides the players," Steiber enthuses. "We are looking at VR as a broader investment. There isn't really pressure for a short-term goal." "It is early days, but I think anyone with an imagination can see that spectator sports will be taken to completely new levels than where they are today, where we're just looking at a 2D screen." A cynic might suggest that Viveport, Viveport Arcade, B2B initiatives and sports plans are all part of HTC's efforts to urgently secure return-on-investment in VR. The early sales for VR devices are slow, and that's not surprising considering the high barriers to entry (particularly in terms of price). HTC has struggled financially in recent quarters, posting regular losses as it lost ground in the smartphone business. From the outside it appears HTC doesn't have the luxury of waiting for VR to take off. But both Steiber and Hoopingarner play down these issues. "We are looking at VR as a broader investment," Hoopingarner says. "There isn't really pressure for a short-term goal. That's why you're seeing the company invest in things like Viveport. We are looking at VR as an entire industry and not just as a hardware company. We want to be omnipresent across VR. That's why we look at things like the platform behind VR, as opposed to launching hardware piece after hardware piece. "In fact, in terms of how we talk to gamers, you'll see us move away from the idea of the hardware, with pictures of the headset and controllers, to talk about what experiences you can expect to have once you bring this into your home. As the gaming audience is the most informed, we'll stop telling them the story of the hardware and start telling them the story of the experience." Steiber concludes: "The company is making virtual reality a high priority and we are of course investing in this space. The phone business, I can't really comment on it, but I think everyone had seen that the HTC10 is a great phone and that we're also delivering the Pixel phone for Google. And the results are improving. The core business is going in the right direction and in virtual reality, we are the leader in this space and we are investing to make sure it stays that way."